Offering you a complete choice of products which include fully automatic hollow brick machine, hollow brick machine, multi material hollow brick machine, multi-function hollow brick machine, semi-automatic hollow brick machine and chirag advanced popular hollow brick machine. Fully Automatic Hollow Brick Machine Compact design and Auto & semi-automatic control, with easy operation. Low investment brings you cost saving. 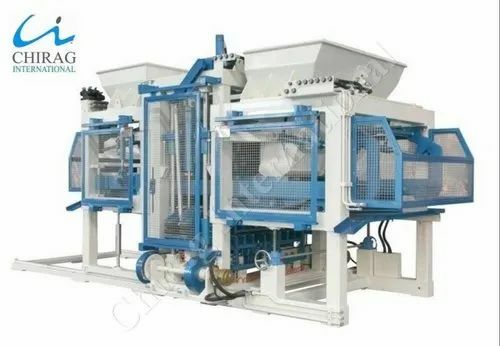 Fully Automatic Hollow Brick Machine The moulds are changeable, and it is able to produce various kind of blocks,bricks,interlocks, pavers and kerbstones in different types, sizes, shapes, and colour layers. Hollow Brick Machine Compact design and Auto & semi-automatic control, with easy operation. Low investment brings you cost saving. Hollow Brick Machine The moulds are changeable, and it is able to produce various kind of blocks,bricks,interlocks, pavers and kerbstones in different types, sizes, shapes, and colour layers. Multi Material Hollow Brick Machine Compact design and Auto & semi-automatic control, with easy operation. Low investment brings you cost saving. Multi Material Hollow Brick Machine Our machines, with harmonic cooperation between mechanical, electrical and hydraulic machines functions, guarantees a reliable and high production output of concrete products. Multi-Function Hollow Brick Machine Compact design and Auto & semi-automatic control, with easy operation. Low investment brings you cost saving. Multi-Function Hollow Brick Machine Our machines, with harmonic cooperation between mechanical, electrical and hydraulic machines functions, guarantees a reliable and high production output of concrete products. Compact design and Auto & semi-automatic control, with easy operation. Low investment brings you cost saving. 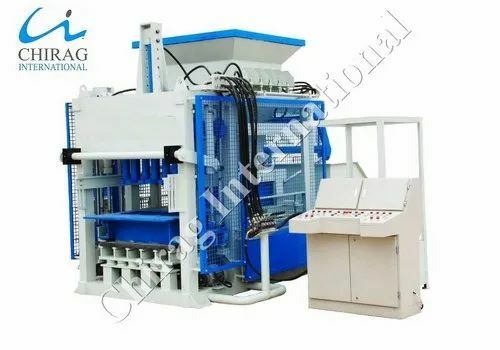 Semi-Automatic Hollow Brick Machine Highly productive moulding device, which consists 360 rotating and compulsory feeding of raw materials, platform vibrating and compression shaping, greatly improves the cycle time. The finished blocks are of good shape and high quality. Semi-Automatic Hollow Brick Machine Our machines, with harmonic cooperation between mechanical, electrical and hydraulic machines functions, guarantees a reliable and high production output of concrete products. Semi-Automatic Hollow Brick Machine With face mix device, its able to produce pavers with colour layer. 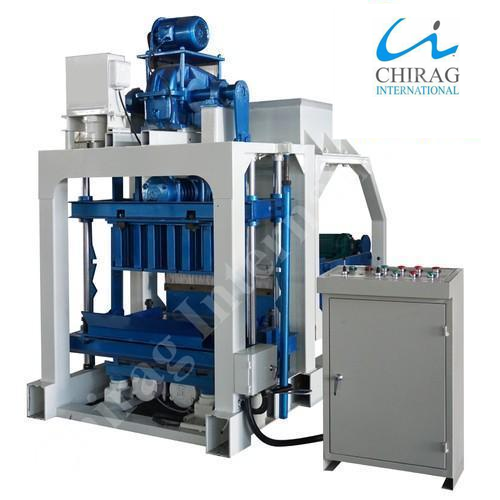 Chirag Advanced Popular Hollow Brick Machine Compact design and Auto & semi-automatic control, with easy operation. Low investment brings you cost saving. 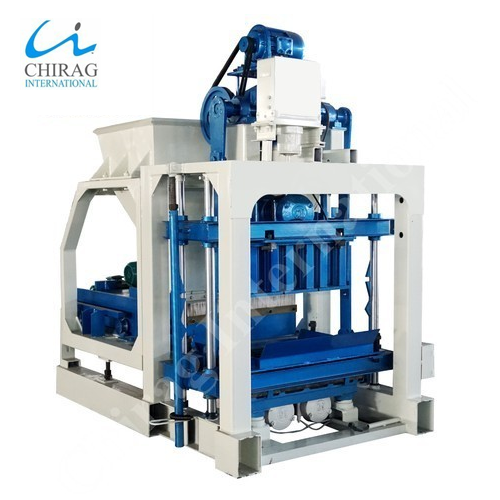 Chirag Advanced Popular Hollow Brick Machine Highly productive moulding device, which consists 360 rotating and compulsory feeding of raw materials, platform vibrating and compression shaping, greatly improves the cycle time. The finished blocks are of good shape and high quality. 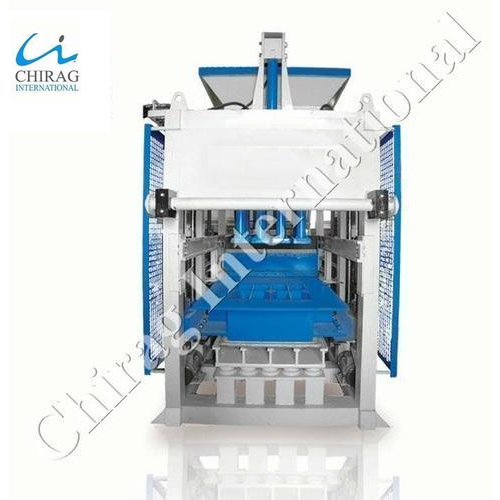 Chirag Advanced Popular Hollow Brick Machine Our machines, with harmonic cooperation between mechanical, electrical and hydraulic machines functions, guarantees a reliable and high production output of concrete products. We provide an exclusive range of Chirag New Generation Concrete Brick Making Machine to our clients, which are designed using latest technology. Our range of these machines is used in several industries and is available in various specifications. Chirag New Generation Concrete Brick Making Machine All the products are designed & developed under the supervision of experts. These Brick Making Machines are renowned for salient attributes like high performance, easy fittings and high durability. Clients can avail our range at competitive prices. 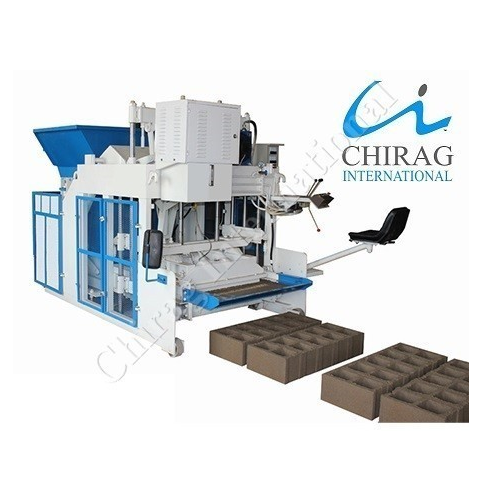 Chirag Integrated Advanced Interlocking Brick Machine Compact design and Auto & semi-automatic control, with easy operation. Low investment brings you cost saving. 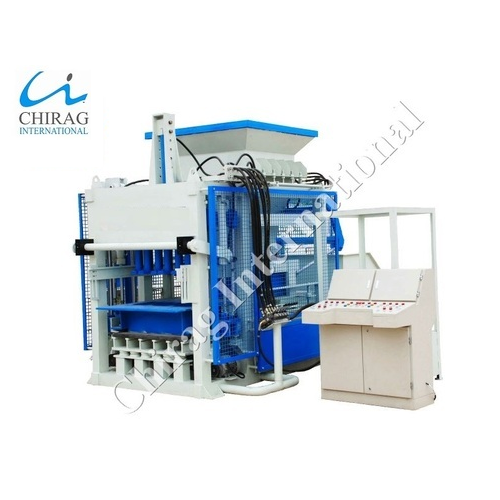 Chirag Integrated Advanced Interlocking Brick Machine Our machines, with harmonic cooperation between mechanical, electrical and hydraulic machines functions, guarantees a reliable and high production output of concrete products. We provide an exclusive range of Chirag Hi-Resistance Cement Brick Machine to our clients, which are designed using latest technology. Our range of these machines is used in several industries and is available in various specifications. 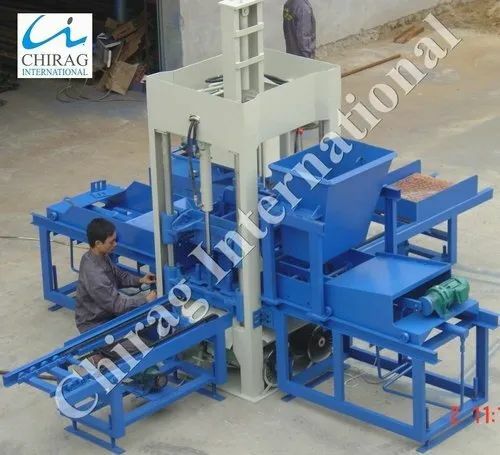 All the products are designed & developed under the supervision of experts.Chirag Hi-Resistance Cement Brick Machine These Brick Making Machines are renowned for salient attributes like high performance, easy fittings, and high durability. Clients can avail our range at competitive prices. This Chirag Latest Quality Bricks Manufacturing Machine automatically controls in block forming, cuber, pallet sending, and pallet separating etc. We export a wide collection of these control system machines that are known and highly demanded for their superior quality, durability and optimum performance. Our offer ranges of these products are made from quality raw material. Chirag Latest Quality Bricks Manufacturing Machine We also meet customized requirement for our customers benefit. Looking for “Hollow Brick Machine”?